I'm getting REALLY depressed here!! I trust and believe you. What are your beliefs that are the same as mine? Psh, I don't know, I was just trying to make you feel better. 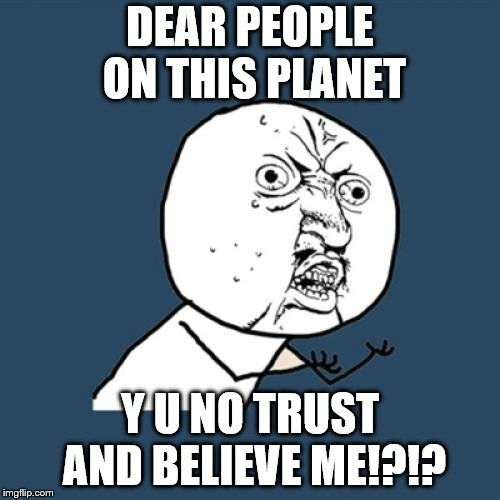 Well it seems until you figure that out I cannot trust you very easily. 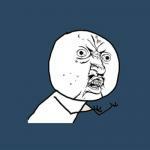 DEAR PEOPLE ON THIS PLANET; Y U NO TRUST AND BELIEVE ME!?! ?